Verona is one of the most romantic cities in the world mostly for its unique architecture, artistic values and unique cultural spirit of the city, carved by the many festivals and fairs. 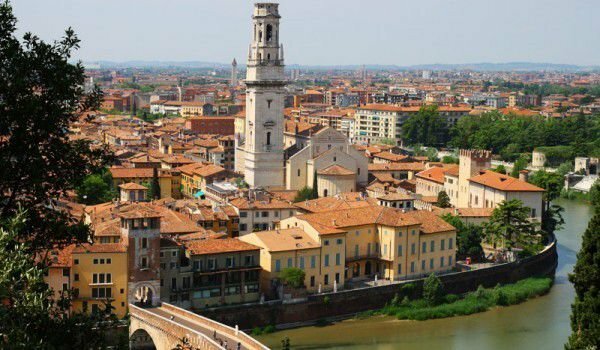 Located in northeastern Italy, in the province of Veneto, Verona impresses with its Gothic, baroque, medieval buildings, which are included in the list of World Heritage by UNESCO. Also known as the city of Romeo and Juliet, Verona is beautifully situated on the banks of the river Adige. 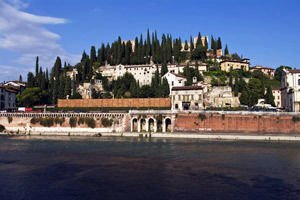 Verona has its roots from a settlement as early as the fourth century BC. In 13th-14th century, it operated as an independent city-republic and later entered into the management of Venice. The tourist tour in Verona can start with the unique Arena di Verona. This amphitheater was created back in history and during that time it was the arena for gladiator fights and knightly tournaments. As 20, 000 people can fit in the theater there are international opera festivals hosted there yearly. 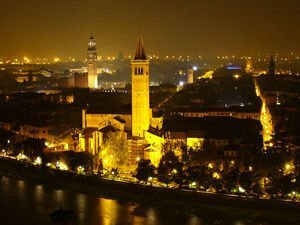 However during this time of year in Verona arrive more than 500, 000 Italians and foreigners. Verona could not keep the halo of the most romantic Italian city when the beautiful Piazza Erbe was built, which is located in the city center. The square is impressive mostly for it’s old buildings with their magnificent architecture and churches. Today's Piazza Erbe is the site of an ancient Roman forum, which for centuries was the social, political and commercial center in Verona. In the middle of the square today is a rich market where you can find everything - from fruit and vegetables to souvenirs and clothing. In the center of the square lies the fountain of Veronese Madonna of 1368, which is a great Gothic masterpiece. The biggest aesthetic landmark of the square is the Gothic building of the Merchant House, built in 1301. During the Middle Ages it served as a residence of the guild and city officials. It was built in 1172, is 83 meters in height and is known as the bell tower. In the 15th -16th century exactly there were held regularly lavish and colorful Carnival celebrations. The most romantic attraction in Verona is undoubtedly Juliet's house. It was built in the 13th century, and today is close to Piazza Erbe. The House of Romeo was built in the 14th century and was designed in Gothic architecture. When you enter the courtyard of Juliet you will see a bronze sculpture of Juliet. There is a belief that if you touch it you will find eternal love. Also in the courtyard you can see the legendary balcony from which Juliet had heard the words of her beloved Romeo. The entrance of the house invites you to write on its façade your name and that of your lover and it means that you will love forever and provides belief. As a result, today the entrance is all painted with the names of different people. You can even visit the grave of Juliet!